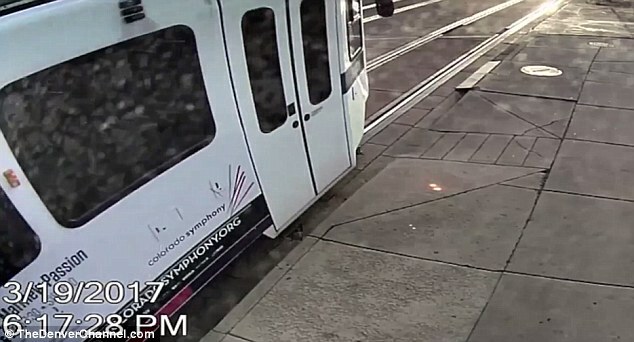 A Denver man has filed a claim asking the local light-rail system to cover his medical expenses after he was seen on surveillance video being dragged by a train last year. Sam Hynes was getting off the train at the Colfax at Auraria station at around 6.17pm on March 19, 2017, when his bicycle got stuck in the door. 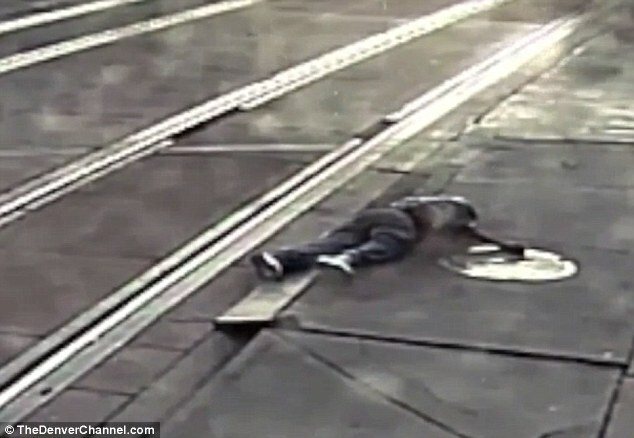 According to his lawyer, Hynes then lost his footing and fell, finding himself trapped between the platform and the train. 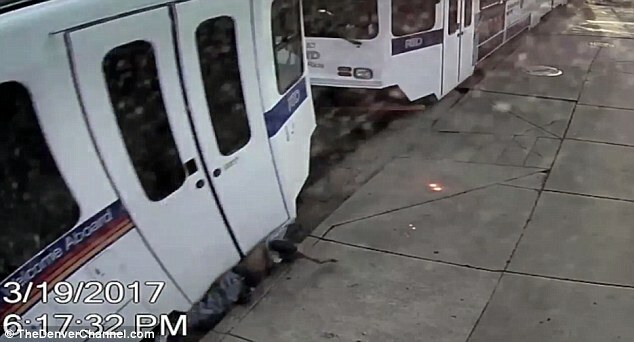 CCTV video taken from the platform – and first obtained by the station Denver7 – shows Hynes being dragged by the train for several seconds until his body hits what looks like a wheelchair ramp jutting from the edge of the platform, which dislodges Hynes. The train speeds off into the distance, leaving the man lying motionless on the platform. Hynes was later rushed to a hospital, where he was diagnosed with a a fractured rib, and according to his lawyer, also a broken arm. Hynes’ lawyer said his client is seeking to reach a settlement with the light-rail system for an undisclosed amount of money to cover his medical expenses and compensate him for his physical damages. 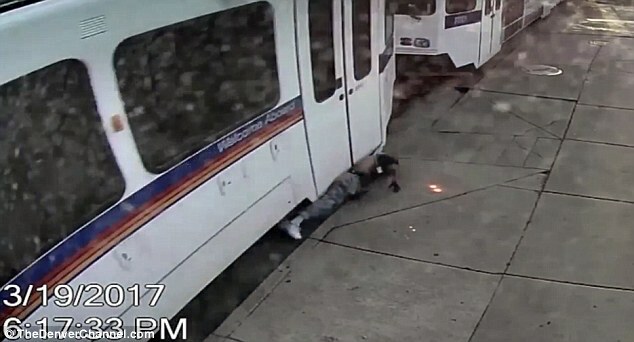 The injured passenger filed his claim with RTD earlier this week. Through his layer, Hynes said he would like to assist RTD in improving public safety.